Advertising Design refers to the creation and organization of Visual Artwork used in Advertisements (ads) for products and services. Advertising is absolutely everywhere. Advertising brings a company, product or person into the spotlight. Advertising can involve Web Content, Print Magazines or Books, Brochures and Ads, Promotional Giveaways, Animation, Graphic Design and so much more. Advertising Designers work to bring the concept of the Advertising to life through all of these different channels. 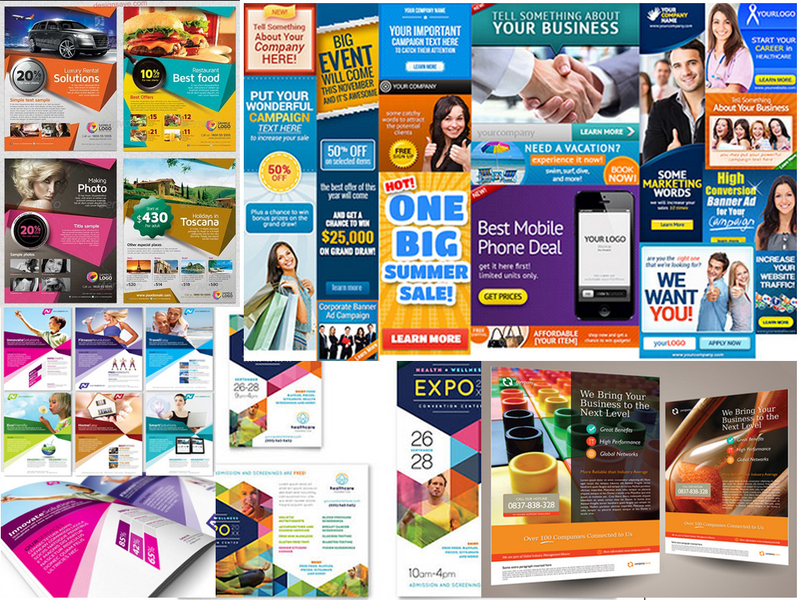 The Designs used in Advertising are created by Graphic Designers, and Advertising Agencies as well as the advertising departments of corporations employ these professionals to create and execute Brochures, Direct Mail, Web Ads, and Print Ads. People who Design Advertising are not only talented in the art of Creative Design, they understand marketing and how to Promote products and services through Visual Communication. Just as other parts of Website Design are changing rapidly, so are Advertisements. Advertising Art refers to Graphic Design used in the field of Advertising, and includes Print Design, Illustration, Photography, and Web and Video Development. In advertising Art, Creativity and Technology blend to communicate ideas. Successful Advertising Design depends on an understanding of marketing principles, We do whatever it takes to help clients strengthen their market share through On-and Offline Communications. From an ad Campaign to a full Marketing Strategy, our expertise covers the full range of services. Here are few tips to design a Static Ad Design.